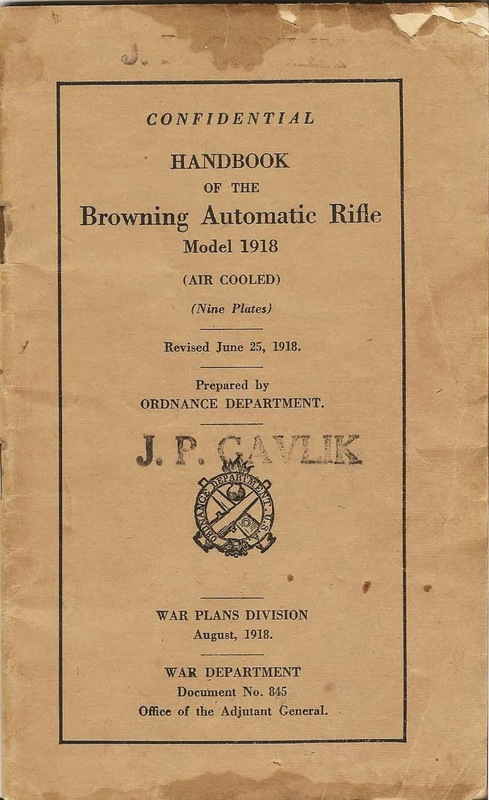 I recently ran across this old Ordinance Department Army Field Manual for the Model 1918 BAR Browning Automatic Rifle (air cooled). Thought it might be helpful to someone so I scanned the diagram click for a larger image. 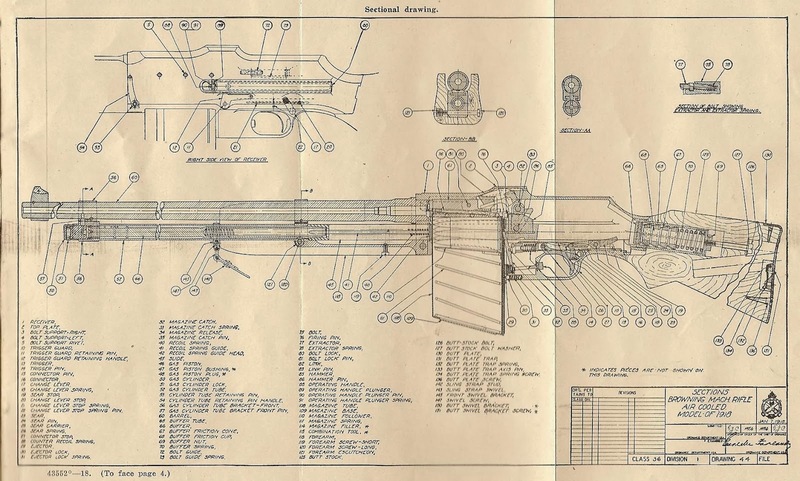 For a full text version click here.